One of the most important keys to small business success is finding, nurturing and retaining great talent. One of the proven ways to do this is by offering a competitive benefits package, but this can be a challenge both financially and from a management standpoint. 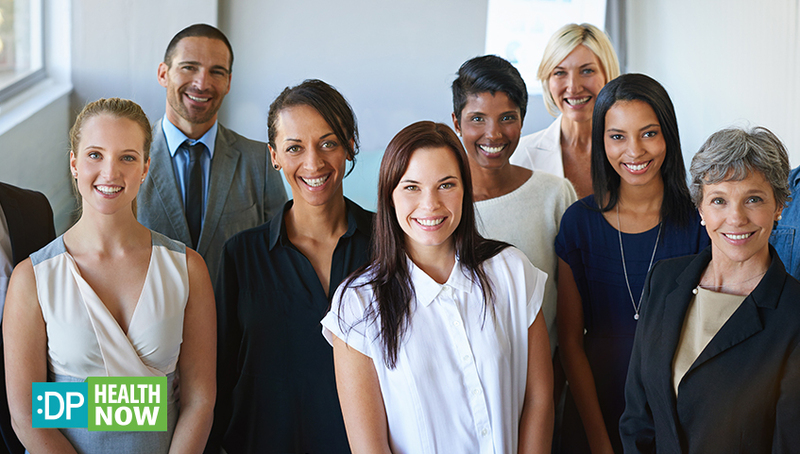 In a large enterprise, benefits professionals within the Human Resources department are tasked with helping employees understand and utilize their benefits. These specialized professionals may also maintain and review usage records, costs reporting, compliance checks and other issues. In medium-size businesses, benefit management is handled by the (often overburdened) people in HR, along with recruiting and training, problem-solving and compliance. And in a small business, where everyone takes on a multitude of roles, benefits management tends to be tasked to whoever seems to be best qualified, or is handed over to a consultant or software solution. As healthcare becomes increasingly more complicated, medium and smaller size businesses need better and easier ways to manage the insurance portion of their benefits packages. Choosing the right benefits package is a small part of the job – it’s the everyday management of benefits that often causes problems. Unsnarling complicated reimbursement issues, or helping an employee figure out if he or she is covered for specific treatments, can have a significantly detrimental impact on productivity. Additionally, large enterprises have processes in place – and most likely, a dedicated account manager at their health insurance provider – to help them deal with questions and concerns. Smaller companies rarely have formal processes so each case is dealt with on case-by-case basis. And while they may have an account manager or broker to call on when they need help, they are unlikely to have the same level of enthusiastic support as a larger business does. So how does a small business compete? One way is to offer supplemental benefits packages that help lower healthcare costs, but also allow employees to access excellent self-help support and expertise. No matter how capable or organized someone is, they may become overwhelmed when faced with a healthcare issue affecting them or a loved one. That’s where a health advocate steps in. An advocate helps people manage their health needs and those of their loved ones. An advocate knows the right questions to ask, and is able to provide experienced support in explaining health insurance benefits, facilitating reimbursements, finding in-network providers, coordinating care, doing medical research, and finding services in the community. Financial problems related to medical expenses are among the leading causes of chronic stress in America. Over time, stress has a significant impact on physical and mental health, causing even the best employee’s performance and productivity to slip. Helping employees to manage medical expenses is simply good business. Consumer organizations urge people to check their medical bills carefully for problems such as duplicate charges, “up-coding” errors which involve billing people for a more complicated level of care than they received, or “unbundling” errors which charge separately for services that should have been included into one (lower) payment. Depending on whose statistics you believe, anywhere from 30% to 80% of all medical bills contain errors. Medical bills can be negotiated down by talking to a hospital or healthcare facility’s billing department, patient care representative or social worker. But without knowledge required to negotiate effectively someone may get a small 10% discount, rather than the significant reduction they could claim. And if they need subsequent care, or are recovering from a medical procedure, they probably don’t want to engage in a battle over billings with medical providers. Professional medical bill negotiating services have become a very popular choice for those who can’t or don’t want to deal with the stress of negotiating their own medical bills. The Medical Bill Saver service, for example, gets an average reduction of 25%-50% on many bills submitted for negotiation. In some cases, a percentage of the savings – typically about 30% – will be the fee you pay for the negotiation services. But employers can offer advocacy services to employees at a reduced flat fee, or at no charge for the service – as an example, :DP HealthNow offers unlimited, free medical bill negotiation services as part of their small business benefits package. Supplementary or voluntary benefits packages such as :DP HealthNow include other ways of saving on healthcare, such as telehealth services. Beyond being less expensive than an in-office visit, there are other cost savings gained through telehealth as well, including no need to take time off for doctor’s visits, no travel time to the doctor’s office, and no waiting to be seen. Additionally, providing access to telehealth services can often replace urgent care and emergency room visits for non-critical care. While it’s certainly true that telehealth is not intended to treat medical crises, a significant number of people will head to Urgent Care or the ER seeking treatment for non-emergency issues when their primary physician’s office is closed. Telehealth can be covered by healthcare insurance, but with the typical high deductible plan coverage may be limited to a medical helpline. To see significant cost savings, look for comprehensive telehealth plans that offer unlimited telehealth visits with locally-licensed doctors. Along with medical billing negotiators and healthcare advocates, you’ll have a compelling benefits package that really helps employees manage their healthcare costs and concerns, while significantly reducing your business’ management burden.